The very word ‘digital’ has become a hot commodity in the market for a while now. When you add ‘marketing’ to it, it becomes even more so as it occupies the central place of attention in the marketing strategy of any company. Same is the scenario in the job market. Digital marketing jobs are the mainstay of the best jobs in India. So, if you are looking for a job in the digital marketing field then you need to know the different types of jobs available so that you can find one that suits your skills the best or you can build up your skill sets to match up to the job you want to be eligible for. Before that, we need to find out if you are really meant for the digital marketing job. If you are a data cruncher, a techie junkie, a JK Rowling at heart (a storyteller) or a Dhirubhai Ambani(an entrepreneur), then this job is meant for you. Search engine marketing is one of the most important facets of digital marketing. It means marketing via the search engine. Since Google is the most prominent search engine, it mostly means marketing via Google Ad-words. The search engine marketer normally reports to the digital marketing manager. In a small company, the digital marketing manager might handle the job of the search engine marketer. A search engine marketer earns around 5 to 10 LPA based on the experience, expertise and certifications. The objective of the SE marketer is to meet the target of leads or clicks at the given budget through activities such as keyword research, bid optimization and management, ad copy-writing, analysis and split testing ad campaigns. So, the SE marketer is responsible for generating leads as per the goal of the business. To succeed as a search engine marketer, one should have the following skills: Trader mindset, basic analytics skills, excellent communication skills. It is very important to any company involved in digital marketing space as SEO ensures better rankings for the businesses in the Search Engine Results Page(SERPs) thereby creating an organic source of traffic for the business. Search engine optimizer is responsible for optimizing the website in such a way that it appears in the unpaid results of the search engine. A search engine optimizer earns around 3 to 10 LPA. The job responsibilities of a search engine optimizer are keyword research, user experience optimization using webmaster tools, manage duplicate content, getting pages indexed, familiarity with SEO tools, etc. HTML skills, Dynamic capacity (ability to evolve with tactics over the time), good communication and copy-writing skills. It is the best role for someone who lives and breathes social media. The content is spread through various social media channels and campaigns are also run. The average salary of the social media manager is between 3 to 6 LPA. A social media manager helps the company communicate and engage with its customers across various social media channels. However, running paid campaigns on social media platforms require expertise. The goal of the manager is to create brand awareness among the customers of the brand online and build an online community for the brand. Should be fairly conversant with all the social media platforms, must be an influencer. He/She is responsible for content writing. Content writing involves identification, development and management of creative content. The average salary of a content manager is around 10 to 15 LPA but for this, the experience required is around 5 years in content writing and marketing. Content marketing includes managing the blog, sales page copywriting, email communications, PR, video marketing, etc. Excellent communication and copywriting skills should be able to understand the customer needs and chart out the customer experience. The roles of inbound marketing manager and content marketing manager overlap a lot. The average salary of an inbound marketing manager is 4 to 6 LPA. Lead generation and conversion rate optimization are the primary duties of the inbound manager. Thus, his responsibilities lie more towards the management of the marketing funnel and conversion at each stage. An Inbound Marketing Manager attracts the customers to the website with the help of interesting content, online videos, SEO, Social Media, Blogging, Email Marketing, etc. The job of the inbound marketer is to create a strategy to attract the customers while the content manager focuses on executing that strategy. The four phases of inbound marketing are: Attract, Convert, Close, Delight. Strategic skills, good communication skills and should know the customer well. As the name suggests, a copywriter helps create content for marketing online. The average salary of copywriter lies between 3.5 to 10 LPA depending upon the experience and skills. A copywriter helps search engine marketer write better ad copies, helps the content team come up with better content and social media marketer to tweak the words of the posts to be more interesting and receptive to the audience. A copywriter job requires great writing skills as he needs to not only connect and convince but also convert the reader into loyal customer. Great writing and storytelling skills. Emails play a vital role in creating and building a company’s brand identity.For that, you need to know your audience clearly, build email content marketing content, integrate social media into the emails, add call to action buttons into it, optimize the emails for laptop, mobiles, etc. The average salary of the email marketing manager is around 4 to 8 LPA depending upon the experience, expertise and certifications. It is the job of the email marketing manager to create engaging marketing emails, build lists as per the target audience and conduct A/B testing to find out what works and what doesn’t. Excellent communication skills, should be able to chart out customer experience and good storytelling skills, proficient in A/B testing. The data that is generated through business intelligence is used by Analytics to generate insights which are helpful in making decisions, measuring performance and taking actions respectively. The average salary of the analytics expert is between 4 to 25 LPA depending upon experience, expertise and certifications. It is the job of the Analytics expert to come up with the relevant insights, reports, etc to help gauge the performance of the internet campaigns and thereby gauge the ROIs of the business. The analyst should be excellent with data and numbers. Should be good in analytics, should be a rational thinker, comfortable with numbers and should be able to follow the money. Conversion rate optimization is a process to increase the percentage of visitors to a website into customers. It is generally referred to as CRO. The average salary of a conversion rate optimizer is around 4-8 LPA based on the experience. It is the duty of the conversion rate optimizer to increase the conversion percentage at each stage of the marketing funnel.CRO professionals help inbound marketers to come up with effective landing pages that give better conversions. There are different CRO tools like Heatmap tools by CrazyEgg.com, Optimizely.com, etc that a conversion rate optimizer should be well versed at. He should also be an expert in doing split testing on various elements of the webpage. Should have experience in statistical modeling, user experience & designing and have good communication skills. A digital marketing manager is the master of all the trades that come under the purview of digital marketing. 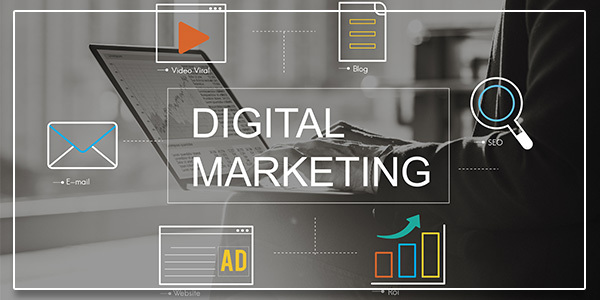 Thus, a digital marketing manager must have all the skills, experience, expertise, intelligence and ability to make relevant and important decisions pertaining to the different elements of digital marketing. All the digital marketing executives and specialists, social marketing, search marketing, content marketing and inbound marketing managers report to the digital marketing manager. The experience required to become a digital marketing manager is 5+ years. The average salary is around 15 to 20 LPA but can be as high as 40 LPA depending upon the experience, expertise, skills and reputation in the industry. So, now that you have a good idea about what entails in the different jobs available in the digital marketing field, you need to build up your repertoire of skills and certifications as per the job you want to target. You can build up your skills vertically in one of the specific fields (as a specialist) or you can build your skills horizontally (as a manager/generalist) or you can become a generalist with specialization in one field too. It’s your choice! There are quite a few institutes like EduPristine that offer training in digital marketing that you can join irrespective of whether you are a professional or a student. These trainings teach not only the theory but also provide the requisite hands-on experience as well so that you understand the concepts thoroughly apart from providing online forums for doubt solving. You can visit our Digital Marketing page for more information on the same.